Conditioned oilseeds are conveyed to the oilseed flaking machine, a machine which ruptures the cell tissue of the seeds and increases the surface area for oil extraction. The flaking process is the essence of the oil extraction plant. Kernels entering the machine are first pressed into 0.3 millimeter flakes to generate maximum extraction rates—with oil residues produced at a rate of less than 1 percent. 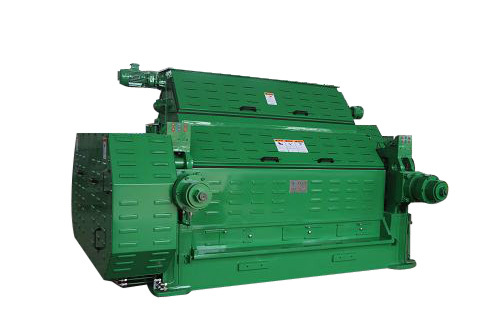 KMEC's flaking mills are designed for safety and reliability. The scraper is manufactured for precision to ensure continuous operation with fewer stuck flakes. If you feel interested in our oilseed flaking machine,contact us now in the following form to learn more. We are always ready to serve you!